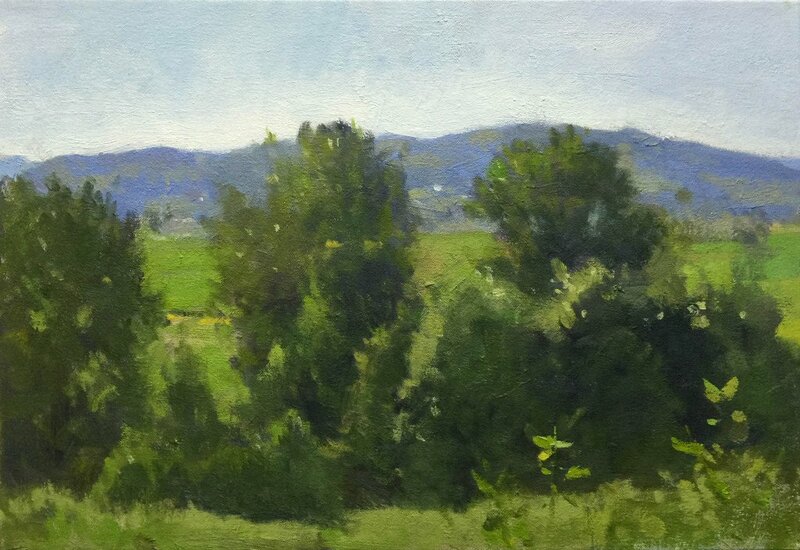 This painting was done during one of my landscape sessions at a viewpoint that my class frequents during our plein airseason. I’m looking forward to the return of good weather and the rich greens of spring and summer, as well as a return to some of Seattle’s more urban subjects. I’m also planning to do some Skagit Valley subjects for my upcoming show at i. e. gallery, in Edison, WA in April. Details will be posted on my galleries and exhibition calendar pages in the near future.